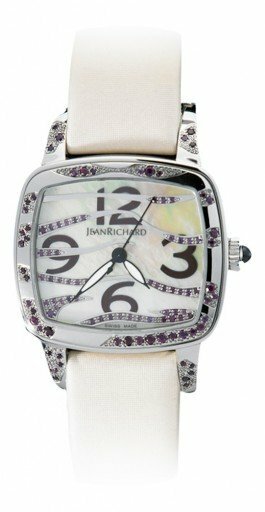 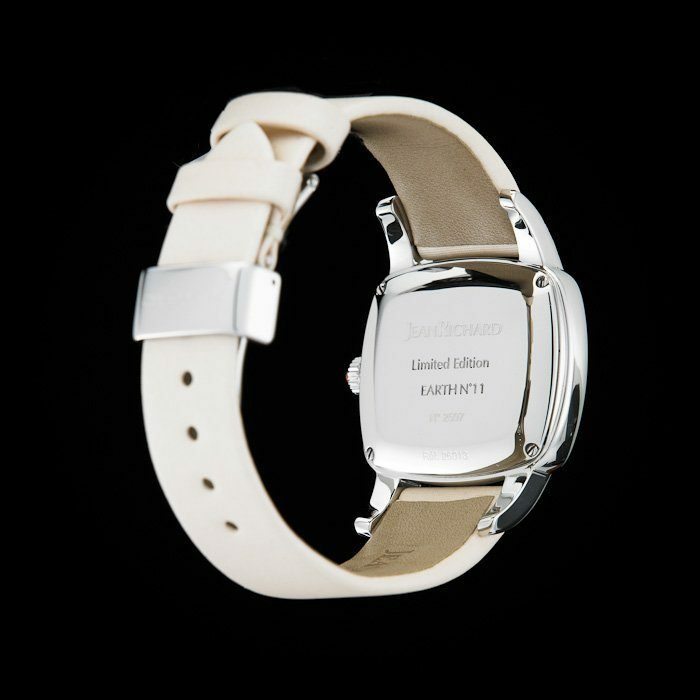 This Jean Richard timepiece is a special, “Earth” Limited Edition model, not to be confused with the older “Daniel Jean Richard” line or the standard ladies lines. 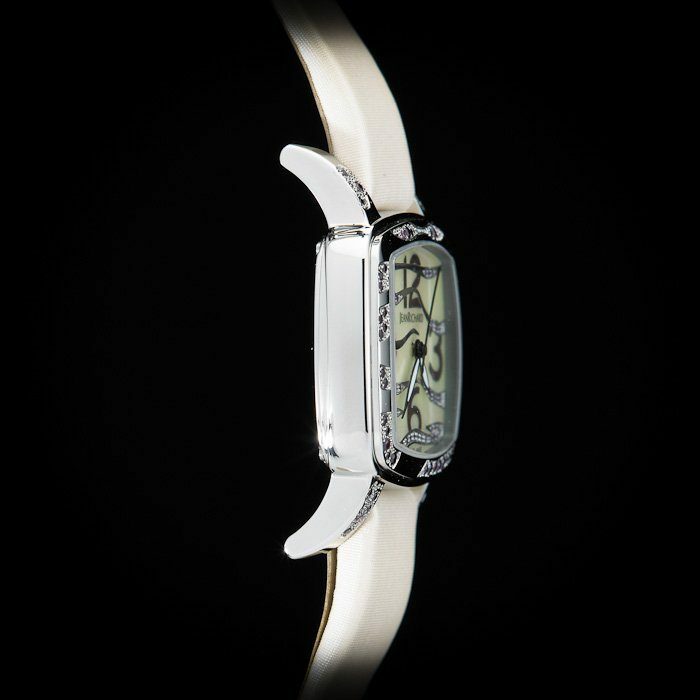 It is an amazing, rarely seen, high jewelry masterpiece, set with original precious rubies on the case, lugs and dial. Its crown features a large treasured stone cabochon. 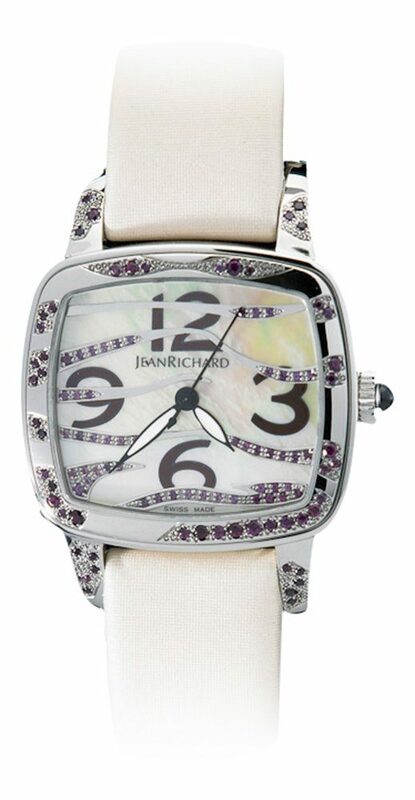 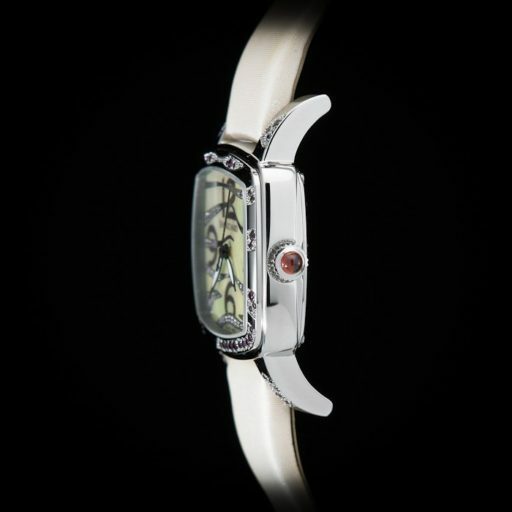 It’s stunning mother of pearl dial displays a playful pattern of rubies that changes color at different angles. 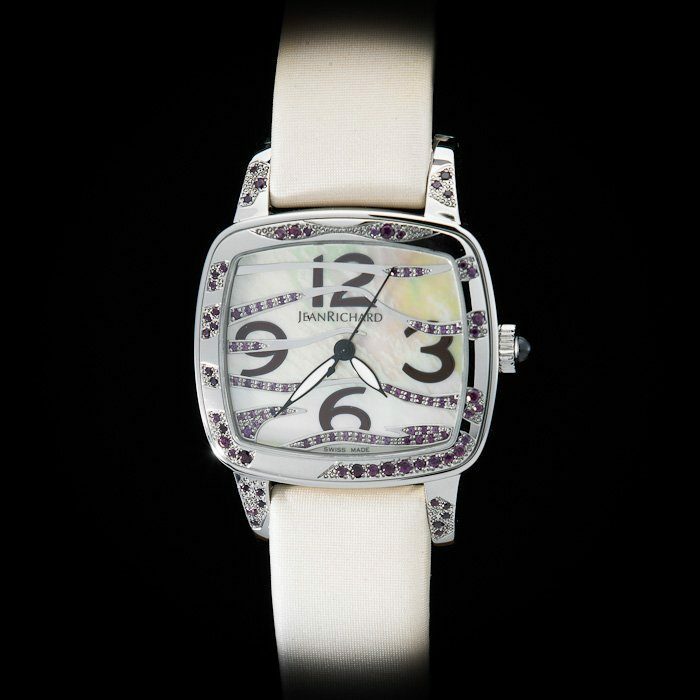 It is absolutely mesmerizing!